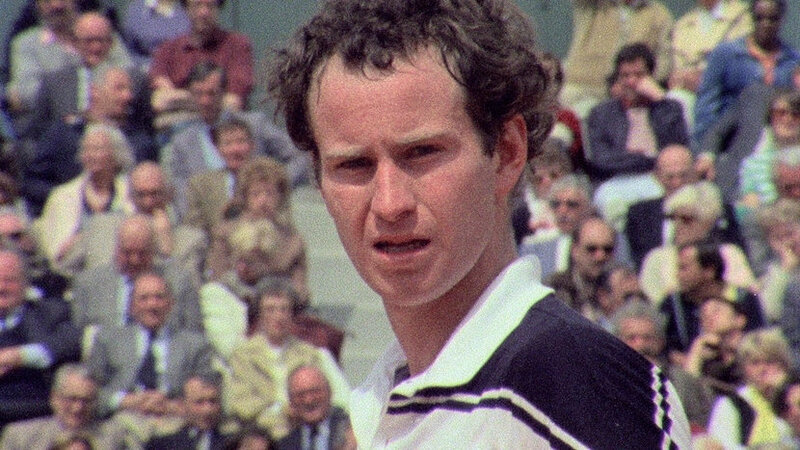 I'm not a superfan but I do love watching tennis, and I have a fondness for Mack, so I was very much looking forward to watching this new documentary, screening as part of the Documentary Competition at this year's BFI London Film Festival. But I have to say that I found it curiously hard work. Director Julien Faraut uses an archive of footage amassed by Gil de Kermadec over the the early 1980s at Roland-Garros. In this period, there was a single TV feed that was syndicated out to all the global TV channels. But Gil wasn't interested in that. He came from a background in sports training films and cared about technique -particularly in-match technique. And so he got permission to shoot on court and aimed his camera at the player - and only the player - capturing intense intimate footage and using what was then pioneering tech in slo-mo and computer tracking to show the technique and skill behind the shots. Gil admits that he didn't care as much about the match or context as just observing the player at close quarters - and McEnroe - with his combination of superb technique and volatile temper - was perhaps the perfect observation subject. The problem is that as much as we gain in our knowledge of technique, we lose in not seeing the rest of the match! I want to see the other parts of the court. I also found some of Matthieu Amalric's narration pretentious - I know I'm seeing a legendary player without that kind of pseudo-philosophical Eric Cantona nonsense and an intercut with AMADEUS (the truly jump the shark moment in this doc.) And then we get the final part of the doc which shows us the notorious 1984 match where McEnroe seemingly throws the match against Ivan Lendl. In all honesty, it's way more interesting to just rewatch in on Youtube. JOHN MCENROE: IN THE REALM OF PERFECTION has a running time of 95 minutes. It played Cannes earlier this year. There are still tickets available for both performances at the BFI London Film Festival 2018.